Service features designed for dealers by dealers, service managers, and advisors. Restrict by user if work can be charged to policy or shop supplies removed. Open recalls are automatically added to a repair orders along with shop supplies and hazardous materials and tracked if a user removes. Onboard Help with tutorials. Unlimited labor, parts, other items, and payment lines. For multi-stores, charge internals directly to vehicle inventory of related dealerships. 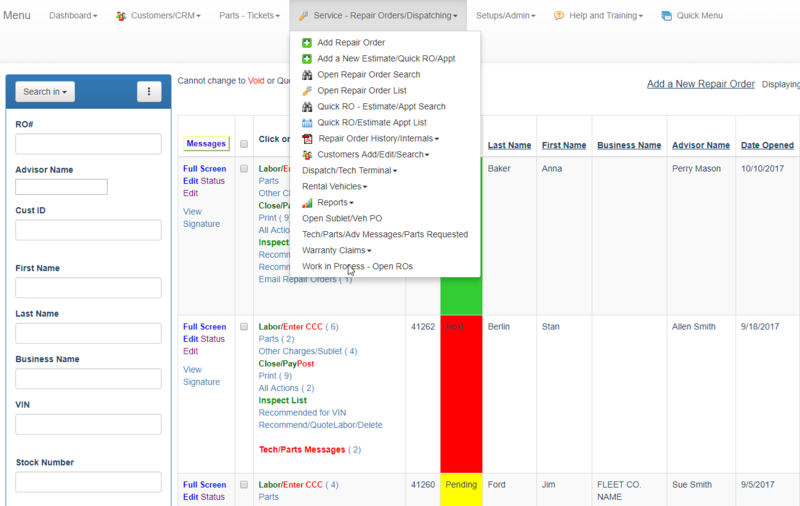 Enter your customer complaints and separate labor lines are automatically added with your default setups. Use pre-defined menus and copy function to get customers on their way faster. Make more profit; Increase tech productivity with our dispatching logic and tech terminals. Use labor grid and matrix pricing to optimize your gross profit.